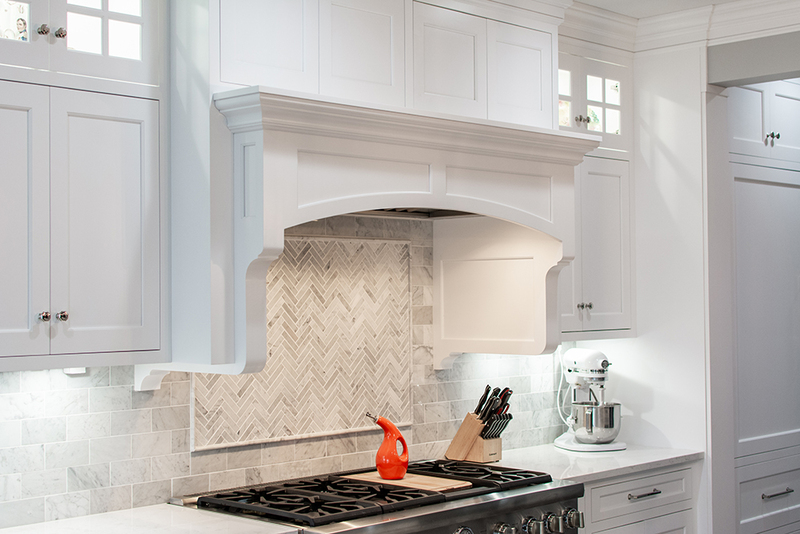 A white kitchen has become a classic choice when remodeling or building. 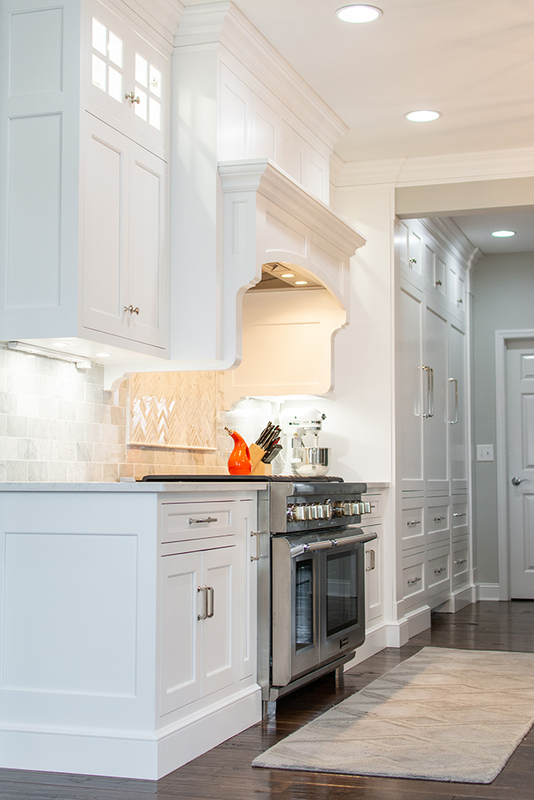 One reason is because it’s so easy to add contrast and make colors pop throughout the design. 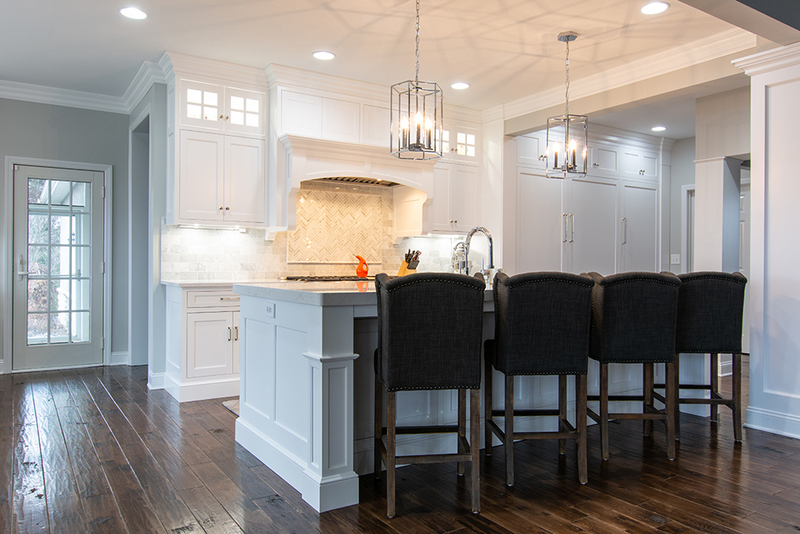 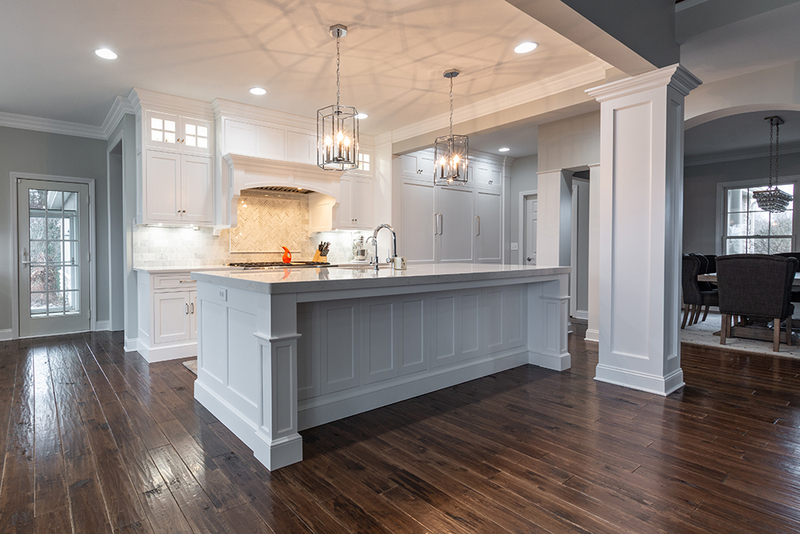 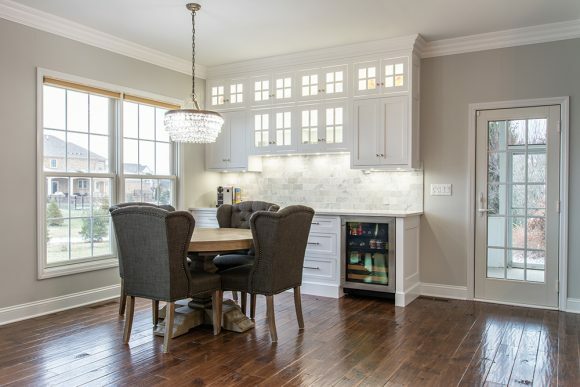 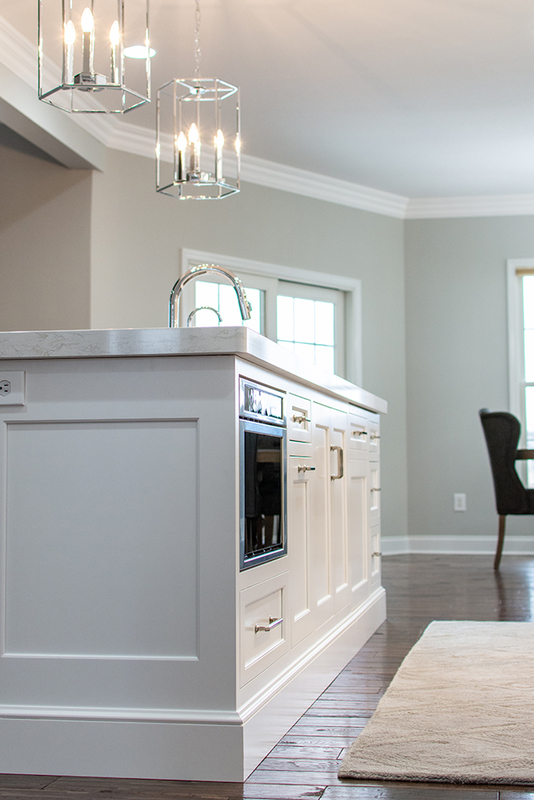 This kitchen features all the bells and whistles that you would expect in custom cabinetry. 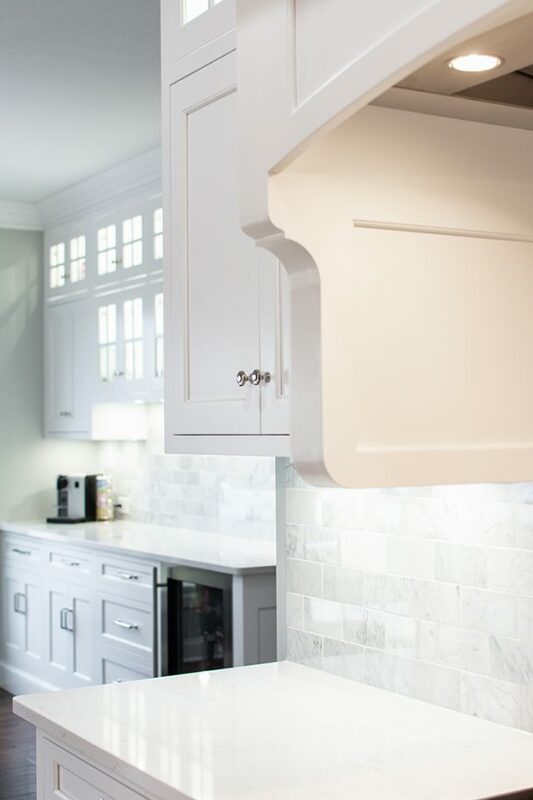 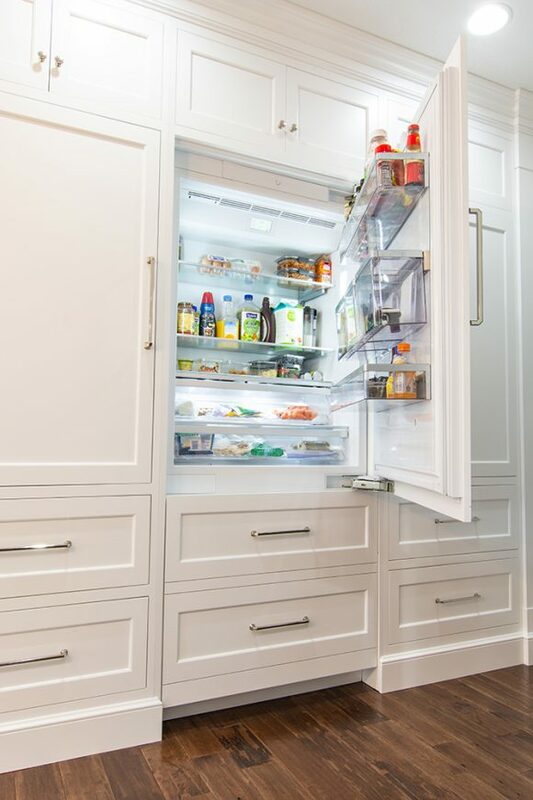 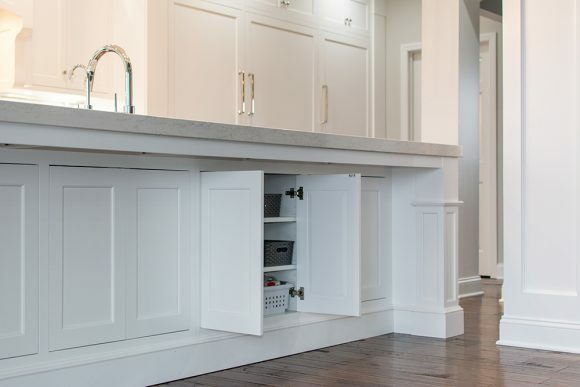 A perimeter that is loaded with white cabinetry for storage that goes above and beyond, and the Cambria quartz countertops will always give your space an elegant touch. To the side of the cooking area is a buffet with a backsplash that blends perfect with the entire kitchen. 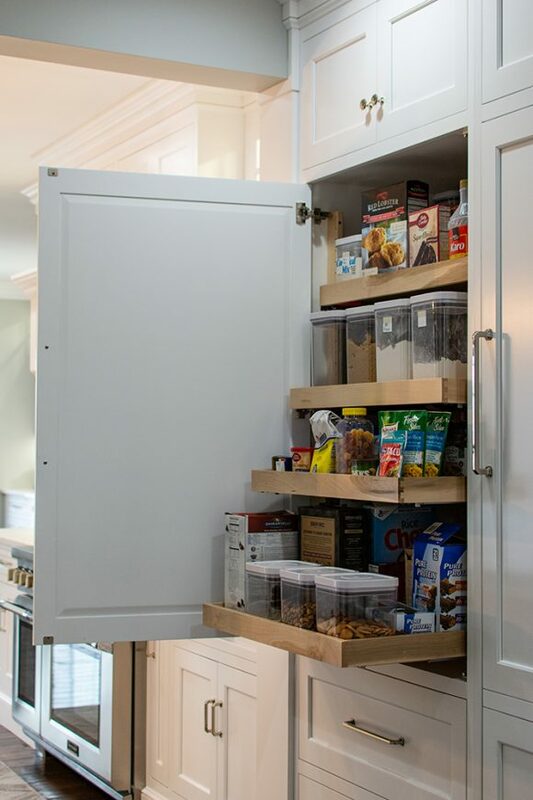 And just when you thought there wasn’t enough storage space – take a look at the island!